One of the most advanced smartphone from Motorola Mobility – Motorola RAZR is finally arrived in India just within the first month after its international launch. As we are getting most hyped phones getting launched in India very fast and some Samsung phones getting unveiled for the first time in India, This launch is welcomed by many of Motorola smartphone lovers. Motorola RAZR is priced at Rs.33,990 in India, which was quite obvious considering its price in dollars in USA. The phone offers best in class looks that you can brag about within other smartphone owners and of course it has trust of Motorola other than the mouth-watering features. Considering the other smartphone range of Motorola Droid, RAZR is thinner & Lighter which offers 4.3 inch super AMOLED display with impressive Gorilla Glass technology that makes it scratch resistant. 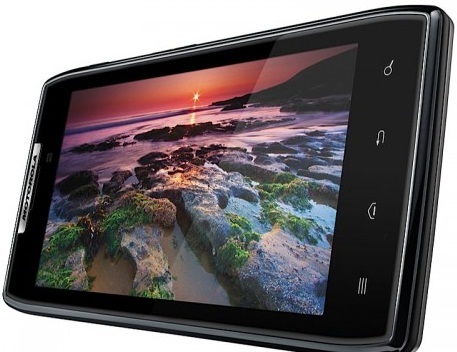 Dual core 1.2 GHz processor, 1Ghz RAM & Android 2.3 promises it to be high on performance and app support. One of the new feature Motorola introduced with this superphone is, it comes with Motorola MotoCast app that enables user to download content from the PC to phone. The phone offers 720p HD video recording with its powerful front facing camera & rear 8MP camera lets you capture Full HD 1080p resolution. The phone will be competing with Samsung Galaxy Note , HTC Sensation XE & LG Optimus 3D in the similar price range, Lets see who gets to the top of this league. Modi Note Magic Android App: Fun Way To Support Demonetization!